Is your email marketing campaign and subscriber lists becoming too difficult to manage with free software or no software at all? Then it may be time to step up to a professional email marketing automation program. Ontraport is one of the front-runners when it comes to enterprise level mass email marketing, contact management, and advanced marketing tracking. Check out this 1 minute review of Ontraport to get a better idea if it is the right program for your business. Any business will benefit from having access to tools that can improve their marketing efforts and actually save them money in the long run. Using Ontraport, you can set up various groups of contacts, schedule the release of emails to different groups, and setup automated reports and tracking. With the detailed tracking features, you can see what works and what doesn’t with your marketing campaign. Use your feedback and results to improve your marketing techniques. Includes detailed tools for creating large mass email marketing campaigns. Manage up to 25,000 contacts with the Pro plan and 100,000 with the Team plan. Ontraport has complete CRM solutions for any business. The monthly $297 fee may be too large for smaller businesses. The user interface can require a little getting used. Medium to large businesses should consider using Ontraport to improve their marketing techniques and attract more clients or improve customer retention. 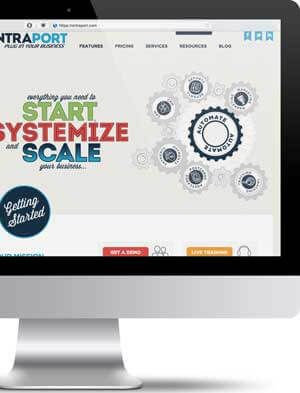 Ontraport is one of the more elaborate marketing automation programs. There are many options for setting up your campaigns and tracking every aspect of your marketing efforts. Keep track of thousands of subscribers and schedule automatic email responses, create newsletters, promotions, and forms. One of the areas where Ontraport really excels is with their marketing campaign automation. With Ontraport, you can manage anywhere from 25,000 to 100,000 contacts and subscribers. Is Ontraport the right marketing automation program for your business? That will depend on what features you are looking for. If you want complete control over your automated email marketing, Ontraport has a number of options for setting up complex campaigns. For businesses that have the budget to afford the monthly price of Ontraport, this program can help boost the usefulness of your marketing campaign and fine tune your techniques for better conversion rates and lead generation. To give Ontraport a try, they offer a free demo so that you can explore some of the features that they offer. If you have any doubts about these two powerful marketing automation resources, leave me a comment below, I would love to help you out. The learning curve is very high, so it will take a lot of time to understand the programme. Luckily the support is really good and there are a lot of tutorials on YouTube which can help. 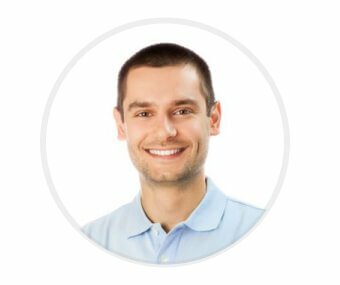 How does Ontraport support our sales team? We have traditional Sales teams plus the digital marketing. We currently use Hubspot and it allows them to create a Deal and then put their activiries against the deals and customers. We can see how many meetings, calls, emails have been made per sales personal and again each customer. Can Ontraport offer something simular? 5 visitors rated Ontraport: 1 Minute review average 4.8 stars out of 5.